Transform Your Organization, Team or Career Faster, With Globally Recognized Certified Scrum Trainers. 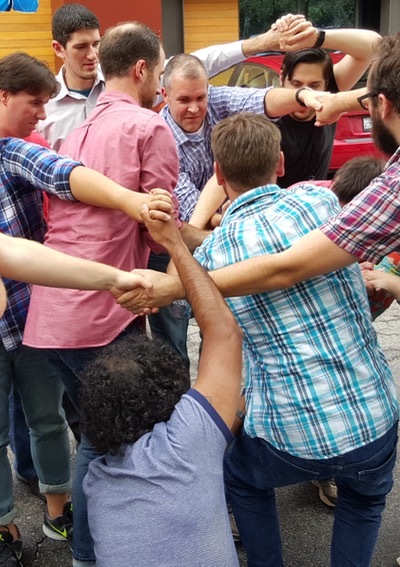 Scrum Alliance 2-year membership & exam fee included, plus all requirements for certification: Scrum framework, the roles, and the techniques to plan and implement Scrum in your ﻿projects﻿. We set you up for success, including a link to complete your exam with Scrum Alliance right after the course completes. Beyond Scrum basics for rapid innovation & improvements: learn simple, repeatable, and reliable processes & how﻿ ﻿to deliver working, potentially shippable software, every 1 to 4 weeks. Smaller class sizes for your best learning environment: we ensure every participant has our attention, time to practice and to ask many questions. Tips to transform your organization (or career): experience how Lean, Agile, and Scrum fit together to form principles, practices, and thinking tools. 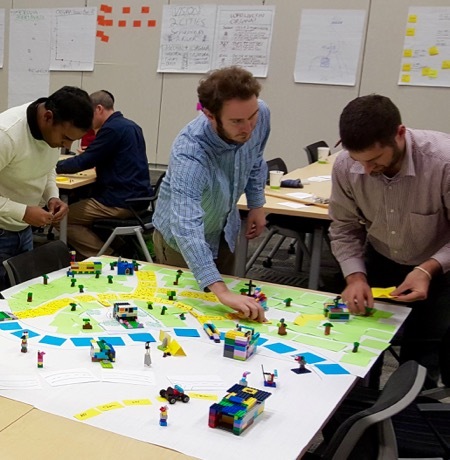 Fun, interactive and enjoyable: our 2-day workshop style class delivers exactly the information you need with great discussion customized to your needs, Scrum exercises ﻿and﻿ group-oriented activities to ensure you not only achieve your CSM® but you can apply it. Register Now. Share With Your Colleagues. professional transition to Scrum and Agile. Our Innovel trainers are highly regarded Certified Scrum experts with real world experience in many project management and software methodologies. 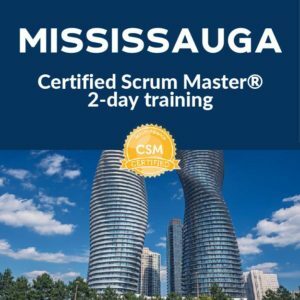 They have been using Scrum since 2002 and ﻿have trained over 4000 professionals throughout Europe, North American and Canada since 2006. MORE FUN. MORE RETENTION. MORE VALUE. Doing activities and lessons customized for every class. We review the needs of registrants and enhance each course with the perfect games, stories, mapping and other activities for best results. Discussing and documenting the needs of those attending, then using real life scenarios you can apply right away. Collaborating and interacting with your own team members and others in a comfortable manner that encourages shared thinking, learning and creation of solutions. Innovel sets you up for CSM exam success and your company up for improvement... on day one. I enjoyed the Certified Scrum course delivered by Robin. 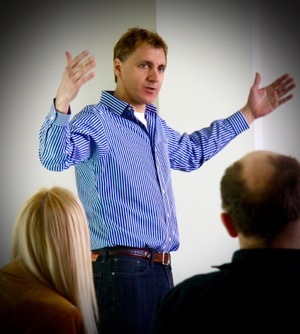 He is a highly qualified trainer and possesses very good knowledge of Scrum. Robin's style of teaching is very professional and encouraging. I really liked the way he engages the class participants throughout the course by giving them group exercises, games, etc. Thank you very much for the class. It really helped structuring book knowledge and answer unanswered questions. 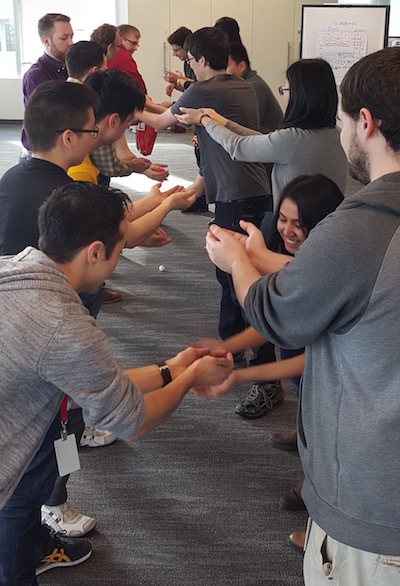 Our team is very excited about Scrum now and we can see improvements already. That’s so cool! Robin included interactive exercises that gave us an opportunity to come up with methods for optimizing our teams by serving as Scrum Masters. He provided great tools and coached us on more than just the basics. Robin has a wealth of knowledge and hands on experience in managing Agile projects. His way of teaching with classroom exercises helps to establish the concepts of Agile and also how they can be applied in the real world. Robin has both technical and teaching skills necessary for the course. I thoroughly enjoyed the CSM training that Robin provided. He really brings industry knowledge to the course so it is not just theoretical. The combination of lecture and exercises were perfect! Well thought out and prepared. I also enjoyed the interaction with other students from various industries. 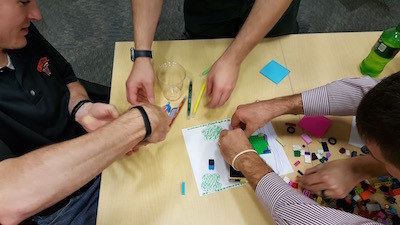 I enjoy using stories, games, interactive learning and real-life scenarios to fascinate managers, executives and teams with the way Agile and Lean can dramatically improve their work and opportunities in their industries. Having created my own software-startups, and as a leader in Scrum, Agile and Lean communities, I deeply value establishing the systems and behaviors that lead to successes to support long-term growth. Having been a trainer for over a decade, I also value the training time and investment students and companies make. At Innovel, we focus on more fun, more retention and more value in every single class. can i get my cspo too? risk of not getting certified? WHAT'S THE BIG DEAL WITH CSM PLUS? DOES CSM INCLUDE PMI PDU CREDITS? 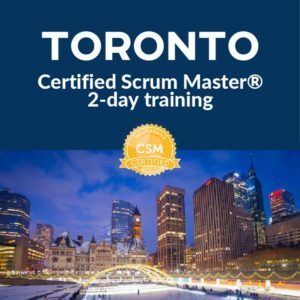 Should I Become a Certified Scrum Master? The Certified Scrum Master (CSM) designation is the world's leading Agile certification. The CSM is a popular employment requirement to participate or lead an Agile or Scrum team. 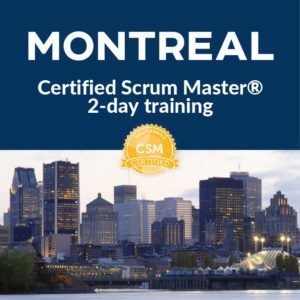 The CSM is the start of the journey and is a pre-requisite for a Certified Scrum Professional (CSP), the Certified Team Coach (CTC) and the Certified Enterprise Coach (CEC). 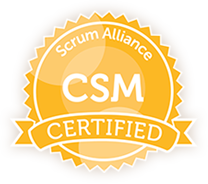 With Innovel training, the CSM course covers more than the basics of Scrum as outlined by the Scrum Alliance. We cover topics like writing requirements with User Stories, Estimating with Story Points and Release Planning using a capacity model. We believe just knowing the Scrum basics is simply not adequate in 2017. Our goal is to provide you with concrete ideas you can implement the day after in your company. We help you learn how to implement Scrum with an Agile mindset, so you can adapt to the many possible issues that will arise. When you leave an Innovel Certified Scrum Master course you will have a new set of tools and a more effective way to do work and complete projects wherever your career takes you. Early Bird Discounts: We provide discounts for people who sign up early. These seats help guarantee the course will run. You can get the highest discount by signing up more than 30 days in advance. Are Innovel Courses Guaranteed to Run? We do everything we can to avoid cancelling courses. However, very occasionally it can happen. On the rare instance that we must cancel a course you have registered and paid for, you will receive advance notice, your payment will be refunded and we will provide you with a discount for a future course. Workshops still listed within two weeks of course dates will not be cancelled. Does Innovel Have a Satisfaction Guarantee? Innovel training programs have very high satisfaction results. Our students and their companies are consistently pleased with the value we provide. Our Innovel team is trained to help adult learners retain more and enjoy their time in our programs. However, we don't take our great reputation for granted. We believe in life long learning and there is always room for improvement. So, if you attend a training and we don't completely meet your expectations, simply let us know. We'll work hard with you or your team to bridge any training gaps and ensure your satisfaction. 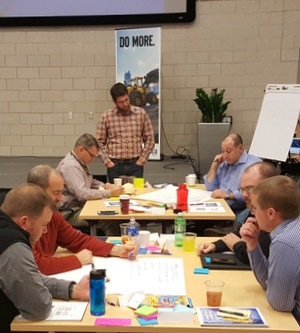 What we do guarantee is our Certified Scrum Master workshop will be an engaging experience that will give you the knowledge and confidence to start implementing Scrum and Agile in your organization. 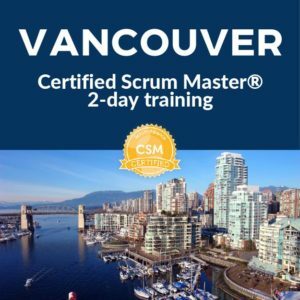 Can I Combine Certified Scrum Master & Certified Scrum Product Owner Training? Innovel will often run both the Certified Scrum Master and Certified Scrum Product Owner back to back in the same location. If you register for both courses you can save $200. Check our public course listings or contact us to arrange a back to back training at your company. ​Is There a Risk I Will Not Become Certified? The vast majority of attendees do obtain certification. And those chances are increased with Innovel's engaging training focused on fun and retention. They did not meet the trainer’s expectations of attendance so they are ineligible for CSM status. They did not complete the homework assigned to make up for missed course time to the trainer's ﻿expectations﻿. 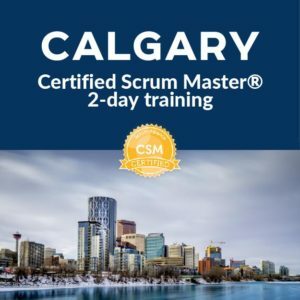 After the training they did not follow directions in the Welcome email from ﻿﻿the﻿﻿ Scrum Alliance inviting them to set up a profile to gain access to the online CSM test. After setting up a profile, they did not ﻿complete﻿ and/or pass the online CSM test administered by the Scrum Alliance. Our Innovel team is dedicated to helping you complete your certification. You can let us know if you have any concerns at any point and we'll help you sort out it! Customers have been saying they would prefer that our CSM course was 3 days so they can take what has been learned in CSM and then spend time focusing more specifically on topics most important to students. So, we have added this optional third day to the standard 2-day CSM course to add significant value to the basic training. CSM Plus™ gives more time for students who wish to immediately absorb the concepts, ask questions, and discuss organizational issues. This includes support for how to implement Scrum with single or multiple teams. CSM Plus™ also addresses a primary concern held by most students... how it impacts their career. On this third day, our internationally-recognized trainer will discuss the impacts Scrum implementation has on various roles in organizations. He will outline the career shifts, opportunities and benefits of Scrum in an organization and Scrum certification for individuals. Internationally-recognized Innovel is the only CSM trainer offering this valuable third day training opportunity. YES! With the Certified Scrum Master® course with Innovel, you qualify for 14 PMI PDUs. Once you complete the course, we send you an information package that includes instructions for logging into the Project Management Institute website and gaining your PDU credits. Don't see your City listed or prefer private training for your company? Let us know. We travel! Or join our list to stay in the loop.